MINNEAPOLIS (WCCO) — Food shelves can be a life line for people dealing with poverty and hunger. But many in the Somali-American community say finding a food shelf that caters to their religious dietary restrictions is almost impossible. “Some food shelves are trying to meet the need, but some of them already got canned beans that have already been mixed with pork — and there is a literacy issue here,” said community activist Fartun Weli. 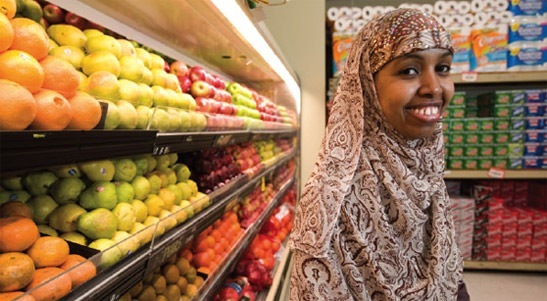 A group of first-generation Somali Americans says they need help in developing a food shelf that specializes in healthy foods that do not contain pork or pork byproducts. “It’s about human rights also, basic human rights to get the proper food and also healthy food,” said Imam Hassan Mohamud.